Pharmaceutical water testing is comprised of several components; among which are appearance, total organic carbon, conductivity, bioburden, and endotoxin testing to ensure product quality and patient safety. Currently, conductivity and total organic carbon (TOC) are the only attributes routinely performed with online testing. Bioburden and endotoxin testing traditionally have been performed retrospectively, and only through sufficient validation and historical data is sufficient confidence developed. Online water bioburden analyzers (OWBAs) have the potential to eliminate sampling and testing errors via reduced manipulations, while providing increased product safety and process control by making statistically significant real-time data available. Online monitoring provides early warning of system upsets and provides process engineers and quality groups the ability to ensure the water used for manufacturing is of sufficient quality prior to use. The OWBA must have the capability and flexibility to be used for purified water (PW), water for injection (WFI), cleaning verification, etc. The prescribed limits of 100 colony forming unit (CFU)/mL for PW and 10 CFU/100 mL (0.1 CFU/mL) for WFI are arbitrary values used to measure the bioburden levels of water quality. Current water monitoring, composed of daily samples, provides only snapshots for identifying changes in water system stability and therefore cannot be reliably used for meaningful trending analysis. The EU monograph for WFI requires a minimum of 200 mL volume samples for testing. The challenge of developing a new measurement technology is the measurement unit. Due to the historical, regulatory, and legal significance of the terms CFU, total viable count (TVC), and cell, an alternate unit that does not limit technology development needed to be identified. The OWBA Workgroup has suggested the term auto-fluorescence unit (AFU) as a new unit to enable a unified approach to understanding and discussing the measurement system. However, other technologies that determine microbe equivalents can also be acceptable. Current OWBA technologies in development rely on fluorescence. The concept of microbe equivalents therefore may also be expressed in auto-fluorescence units (AFUs). The development of the OBWA provides the ability to monitor low-level microbial content. The OWBA ideally will measure at the compendial levels. Regardless, the system needs to provide a stable baseline used to ensure process control. Furthermore, the OWBA could be used to demonstrate the health and suitability of water systems. The U.S. Pharmacopeia requires that water used for pharmaceutical purposes meet the following specifications. The following sections outline the minimum user requirements for an OWBA as specified by the OWBA Workgroup. The analyzer should be capable of performing periodic verification of operational performance. Suitability standards should represent the potential contamination or artificial spikes. The suitability standard should be a surrogate for microbial contamination. The use of live or killed microorganisms is not acceptable. The unit should be designed to prevent reverse flow. LIMS connectivity, bidirectional capability to provide input I output. Potential customers for a device that uses alternative methodologies have defined expectations that must be satisfied in order to have the device accepted by a regulatory authority. These requirements are broadly outlined below for the benefit and insight of instrument developers and vendors. For further information, consult PDA Technical Report 33, USP <1223>, and EU 5.1.6. Determining the precise technical requirements necessary for an alternative microbiological method is essential before one can select the appropriate technology and equipment that meet the relevant assay requirements. Therefore, it is suggested that organizations wishing to develop and validate a candidate alternative method produce a user requirement specification (URS) document. This document should include all critical functions of the technology, critical user interface requirements, space requirements, environmental requirements, operational requirements, and all other important characteristics of an alternative method for the intended use. These requirements will be specific to the company or organization, as well as to the alternative method's intended use, and therefore the requirements should be generated by the user. 1. Instrument qualification. Most alternative microbiological methods will depend on specific equipment. This analytical equipment is subject to industry standard instrument qualification requirements (see USP <1058> for further information). 2. Validation of alternate technologies. The basic rationale for using an alternative methodology is to improve on some aspect of the existing technology of the current compendial method without sacrificing essential characteristics of that technology (e.g., plate count and membrane filtration). The current technology for compendial microbiology methods consists of detection of the growth of viable microorganisms on (or in) a nutrient medium. The alternative technology must be at least equivalent to the current technology in terms of performance for the intended use. Much of the technical support for equivalence may come from the peer-reviewed scientific literature or from a prior regulatory submission (e.g., a vendor submitted the Drug Master File to the FDA, or prior submission from a company on this technology), but this must be confirmed, as appropriate for the intended use. Method suitability. This consideration must address both the technology's suitability to the specific test and the lack of product inhibition and enhancement on the test results. a. Suitability of the technology to the specific test. 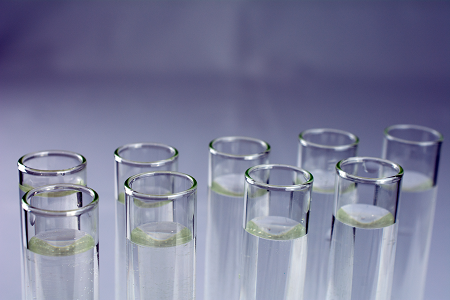 Many compendial microbiological tests have mandated test requirements. An example of this would be sample plans consisting of the quantity of material to be tested (e.g., 10 g or 20 units of a specific volume). Because the test results are frequently used to determine compliance with finished product specifications, and the specifications are dependent on sample volume or quantity, the alternative technology must be able to satisfy sample volume requirements as required in the general test method. The use of a lesser volume or sample size is not recommended and would need to be fully justified by the user on a case-by-case basis. The alternative technology is considered suitable if it can meet all critical parameters of the compendial test. b. Inhibition and enhancement. Specific products may interfere or enhance the signal of different measurement technologies to the specific signal of interest (see USP <1227>). This component of alternative microbiological method validation (i.e., suitability) must be demonstrated for each product tested. These requirements were developed by the Online Water Bioburden Analyzer Workgroup to describe the characteristics of the technology/method required by end-user for routine water sample testing. This group recognizes that methods based on the colony-forming unit are unlikely to achieve continuous and real-time detection of viable microorganism from water systems. Alternative microbial detection methods such as those based on fluorescent biomarkers have the possibility of achieving continuous and real-time detection; therefore the group identified critical performance characteristics that are minimally required to meet the end-users’ needs. These characteristics, such as validation parameters for bioburden testing, calibration, system suitability, instrument operation, and data laboratory information management system (LIMS) interface have been assembled into this URS document. Additional system design features to be considered by technology/method developers are also included. Note: This document provides a design specification for a potential water analyzer; but is not to be considered an endorsement, support or purchase agreement with any vendor or the authors. An earlier URS version was published by members of this group in 2013 (“Novel Concept for Online Water Bioburden Analysis: Key Considerations, Applications, and Business Benefits for Microbiological Risk Reduction,” Anthony Cundell, Oliver Gordon, Nick Haycocks, Joe Johnston, Michelle Luebke, Neil Lewis, Jeanne Mateffy, and Jeffrey W. Weber, American Pharmaceutical Review. July 2015.) and served as a starting point for this updated and refined set of performance characteristics to be considered by the end-users and technology/method developers.